For any language used in the workflow, the design patterns vary between simple constructs to complex ones which may in turn not be supported by today’s generation of management systems. In this document, the simple models are discussed first. These patterns are found in most workflows today. As such, they offer the synonyms, description, and examples of such constructs. As a matter of fact, for these basic or simple constructs, the term workflow is considered not appropriate. For constructs that are more advanced, there is an identification of the appropriate strategies for implementation and their consequent problems. The problem part of a construct is used to describe the reasons why the construct would be so hard to be realized in today’s management systems. For the implementation part, which is also referred to as the solutions are used to describe how the required behavior could be realized should certain basic routing primitives be maintained. For constructs that are more complex, there is more justification for the term pattern since solutions that are non-trivial are offered for problems which are practical and are encountered through the use of today’s technology. The major role of the workflow system of management is to put in place business processes that are case-driven through allowing the models be specified, executed, and monitored. 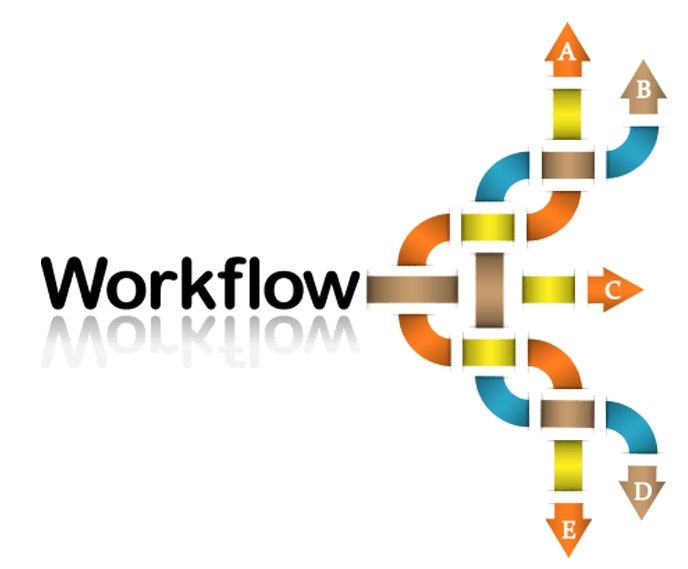 Workflow processes are used to specifically define the activities required to be accomplished and the order in which they should be done. Transitions connect activities, and a thread of execution control is used as a notion for executions that are deemed concurrent in the workflow. Data that is introduced specifically for workflow management is referred to as control data. Information objects whose existence is not dependent on the workflow management are referred to as production data. Applications are then used to perform simple actions for specific case activities. For each workflow, the language is described by the composition of the syntactical rules, the sets of modeling constructs, and the constructs’ semantics. Workflow patterns are in most cases realized in a language which is used in one or more constructs for that specified language. 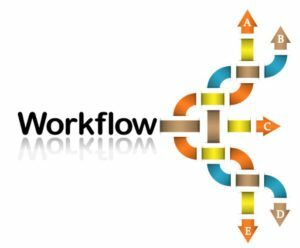 Workflows constructs which are available in most cases are not enough to make certain patterns realized, and as such, the people implementing the workflow opt using programming techniques to bypass given limitation tools in the workflow. Some of the programming techniques include; database triggers, and event queuing among others. There is high relevance on the assumptions of the environment the pattern is embedded, and as such, the patterns are expected to be interpreted in a certain context. Therefore, for a simple synchronization pattern to be achieved, the involvement of a construct that is language-specific helps maintain and attain a straightforward model. However, should there be a drop in the assumption of the context; each of the language-specific coexistence behaves differently.